Upcoming Cosmic Girls x Weki Meki unit WJMK have released a group teaser image! 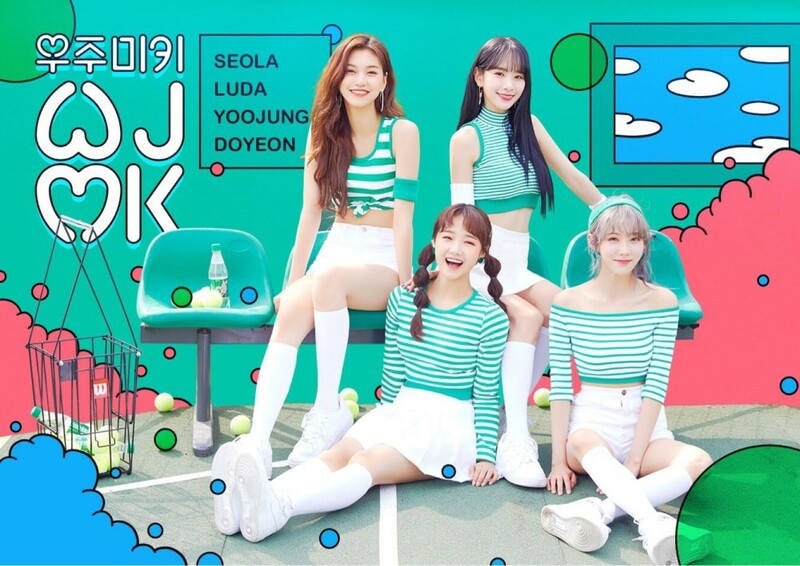 As fans know by now, Seola and Luda as well as Choi Yoo Jung and Kim Do Yeon are coming together for the first ever Cosmic Girls x Weki Meki unit WJMK! As previously reported, the concept of the unit will be a 'cutie crush' concept, and their labels have revealed that they will be debuting the unit in June. Are you excited for WJMK's debut?